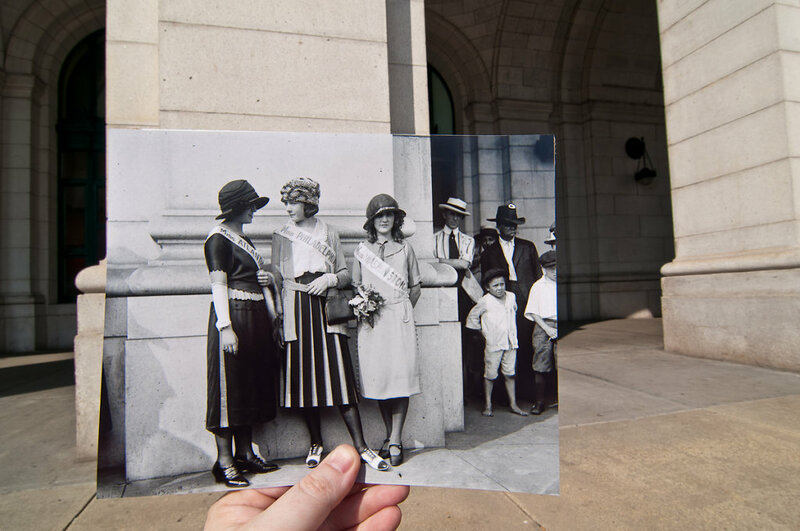 Miss Atlantic City, Miss Philadelphia and Miss Washington, DC gather in front of Union Station. Miss Washington, DC (Margaret Gorman - the first Miss America) has appeared in this series before. She is joined by Ethel Charles and Nellie Orr. And, as someone on Shorpy astutely notices, Jed Clampett. Nothing other than some light fixtures has changed here. Good. Union Station doesn't need the help.